Replacing your Oki B-930 toner is easy with Cartridge Save! At some time your Oki B930 will run low on printer toner, and then you'll notice that buying Oki B930 toner can be an expensive affair. Fortunately you don't need to get stressed about shelling out the high purchase prices you'll discover on the high street because now at Cartridge Save you can find all the Oki B 930 cartridges you will ever want at seriously small prices. Save cash by purchasing online at Cartridge Save! It's a waste of money buying the B-930 original cartridge or B930 compatible toner on the main street when you can quickly save your hard earned cash buying online with Cartridge Save. You can have one hundred per cent satisfaction when you buy B930 toner cartridges from us because every one is guaranteed by a straight forward money back guarantee. Don't forget that every single purchase also has free delivery, generally arriving with you the following business day! 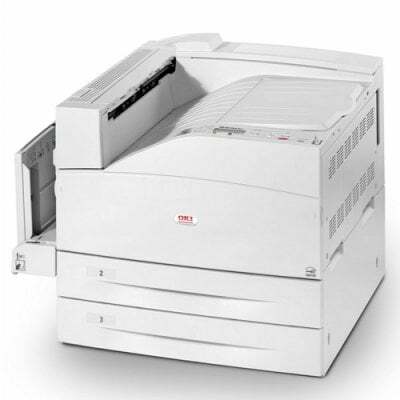 Designed for large workgroups with high-volume printing needs, the Oki B930 is a monochrome laser printer. This workhorse has a monthly duty cycle of 300,000 pages. It comes with a 256 MB memory that can be upgraded to 768 MB. The Oki B930 can handle a wide range of media as large as an A3. This robust unit delivers crisp and professional output. Since this is the base unit, the Oki B930 printer lacks a duplexer and networking connectivity. The B930 mono printer uses high-yield consumables and has a quick print speed of 50 ppm for A4 and 28 ppm for A3. The Oki B930 mono laser printer has a maximum print resolution of 1,200 x 1,200 dpi. With optional paper trays, this unit can handle 6,000 sheets. The black Oki B930 toner cartridge has a capacity of approximately 33,000 pages. The user-friendly Oki B930 mono laser printer is very easy to setup. It is compatible with both Macintosh and Windows computers plus it has an uncomplicated control panel. This base unit is small and compact, making it easy to store and place in the office, but it is very powerful. The Oki B930 mono LED laser printer will deliver high-quality texts and images on different types of media at quick speeds. The trouble with the Oki B-930 is it is pricey enough by itself. The duplexer and paper trays plus other accessories will be additional costs. It would be better if the Oki B930 came with Ethernet; wireless connectivity is not offered, even as an option.